Even though leading car manufacturing companies still have a long way to go in the race to become the standard for electric vehicles, they are hoping that current auto buyers accept EVs with shorter range limitations or average battery power. Nevertheless, this has made way for Electric car engineers who work on building and maintaining electric cars. Mechanical and electrical engineers are also working for developing and testing electric car designs. Electric car engineers collaborate with scientists to invent new designs and improve existing electric vehicles. They also test these models to assess the efficiency of their designs. It is important for any individual who wishes to pursue a career in electric car engineering to have an aptitude for science and math. People who are analytical, inquisitive and creative make good electrical car engineers. The iPhone was launched in 2007 and the Android followed soon after. As we enter into 2017, nearly half the global adult population has a Smartphone. Who would think that ten years ago there could be an app for bridging the gap between consumers and brands for conducting better business? Moreover, a decade ago, nobody ever thought you could make money by developing apps for phones. In July 2015, Android’s Google Play had 1.6 million and Apple’s App Store featured 1.5 million apps for consumers. This leads to a never-ending appetite for mobile apps. No wonder there is a booming market for mobile app developers today. These developers must possess skills for working on projects that range from games to content management systems. Expertise of development tools, skills of programming languages and environments, a clear understanding of mobile communications and consumer marketing trends are crucial for this job. Moreover, being able to evaluate business objectives to create intuitive mobile experiences is also helpful. Bitcoin came about in 2009, when a person under the name Satoshi Nakamoto created it. There are no middle men involved in the transactions, which means no banks and no transaction fees. People do not even have to use their real name. Although the currency has yet to pass several stages before becoming the ideal digital currency, merchants are beginning to accept them. Moreover, international transactions are cheap and easy as bitcoins are not associated to any country or follow regulations. Small businesses prefer using them as there are no credit card fees attached. Many people have bought bitcoins as an investment, hoping their value will increase with time. This idea is likely to expand massively in the coming years, leading to vacancies for both bitcoin traders and advisors. Irrespective of the currency people trade in, there will always be a continuous demand for workers in the financial sector. This is why Bitcoin shows promise to present new career paths that have already emerged. Initially, Bitcoin miners capitalized on its growing popularity and make loads of cash. However, since then, the value of Bitcoin has fluctuated regularly. Experts now believe that independent business owners will continue using Bitcoin as a payment option, using it as a major selling point in their marketing strategies. Of course, it remains to be seen if Bitcoin can make a resurgence and become widely popular again. The method of trading utilizing computer-automated algorithmic software for trading assets is called High Frequency Trading or HFT. This software utilizes extremely sophisticated systems to assess slight inefficiencies in the market and produce tiny profits per trade, but is designed to execute millions of trades every single day. This gives birth to another interesting job description. High Frequency Traders are dependent on doing business with other professionals. They choose things like the software, the computer setup, the rewards and costs of the infrastructure, location of the set up, whom you trade with and more. Generally, the traders with the most efficient software make the most profit as they out-trade the slower systems. Drones continue to pick up steam in the US along with other parts of the globs. Drones were created as a result of the technology wave created by the smartphone industry. Fundamentally, they are flying smartphones with a camera, accelerometer and battery. Drones have propellers and motors attached at each corner. Drones are easy to operate like a phone and fly like a toy. Drones are being deployed all over the world for just about every possible purpose. Whether they are used for monitoring for delivering donuts from an outlet to playing Pokémon Go, the efficacy of drones appears to have no end. With new drone regulations being implemented, every manufacturer including structural and civil engineering firm is wondering whether drones can be incorporated into their budget for improving their core operations. The new regulations have made way for drone engineers and operators to venture into this novel career path. As drones continue to be extensively used for several other uses, they are also popular choices for business catering to outdoor events. A $500 drone is helpful in documenting conditions on construction sites or for inspecting hard-to-reach structural elements, such as a skyscraper or a bridge. We witnessed thousands of people in 2016 to build and fly drones and turning their little flying passion into a career. This profession is here to stay.. There was hardly the need for social media managers to create and manage platforms, such as Facebook and Twitter in 2007. However, social media consultants or managers have become a necessity for all businesses to compete with their rivals. Currently, Facebook has more than 1.5 billion global users and social media platforms, such as Instagram and Twitter, have become an indispensable advertising tool for brands to engage with thousands of users without spending a fortune. The first iPhone became available in the market on June 29, 2007. Before the iPhone, there were a bunch of mobile phones that were popular for different functions. The iPhone presented a phone device that would bring both companies and consumers under the same umbrella for more business opportunities. This incredible invention made the internet witness several social media channels to offer tremendous growth to companies. Like mobile apps, social media bridges the gap of communication businesses once faced with their consumers. Users are more engaged through targeted marketing. 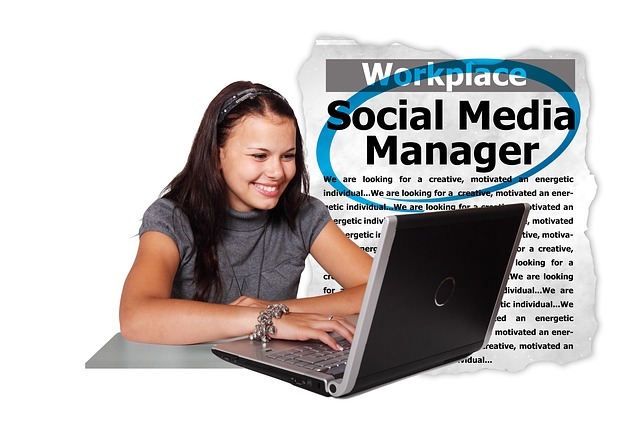 Today, big names, such as Amazon and Microsoft, and every small business are bound to hire social media managers. It’s tough to imagine a job type that doesn’t already exist in the present-day economy. However, in another ten or twenty years’ time, we will be faced with a whole set of new careers that we could never have imagined. Owing to unstoppable advances in technology and innovation, new job descriptions will continue to surface in the ever-changing world we live in.